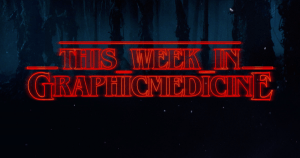 This week, I suggest heading to Twitter and catching up on the great event that was the NNLM NER New England Graphic Medicine Con! Use #NEGraphicMedCon to find them all. Note that these are NOT included in the Wakelet below. You might also want to check out this Facebook live video of A. David Lewis’s talk on building graphic medicine curricula at the event! 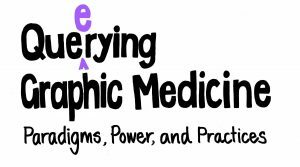 Queerying Graphic Medicine – Paradigms, Power and Practices – 11-13 July 2019 is getting closer! As promised in an email last week to folks proposing presentations, you should be seeing news of your proposal’s status either already or in the coming days. Exciting! Scholarly: Your Brain on Comics: A Cognitive Model of Visual Narrative Comprehension.